Rev. Kim Sorrells preaches an affirming, LGBT-inclusive message as part of their ministry within the United Church of Christ and the United Methodist Church. That message is important to Kim as a matter of faith, and because Kim is transgender. But Kim didn’t always have such an open mind. Even though Kim started questioning their sexual orientation at a young age, they grew up in a conservative community in Alabama, and had an encounter at church one day that indicated being gay was unacceptable. “It was a dramatic experience. The speaker talked about gay people, and how that wasn’t OK,” Kim says. “I thought that meant God wanted me to change, that I was clearly the only person there dealing with that. Kim’s parents might have provided some guidance, but Kim worked hard to hide their doubt, as well as the “ex-gay” culture Kim was being drawn into. “They knew something was up, but I wasn’t telling them. By the time I came out though, my parents were pretty aware and OK with it.” Kim says they were even more understanding when Kim came out as transgender. It wasn’t until studying psychology and religion in college that Kim realized many of the anti-gay thoughts and beliefs they had internalized were wrong. 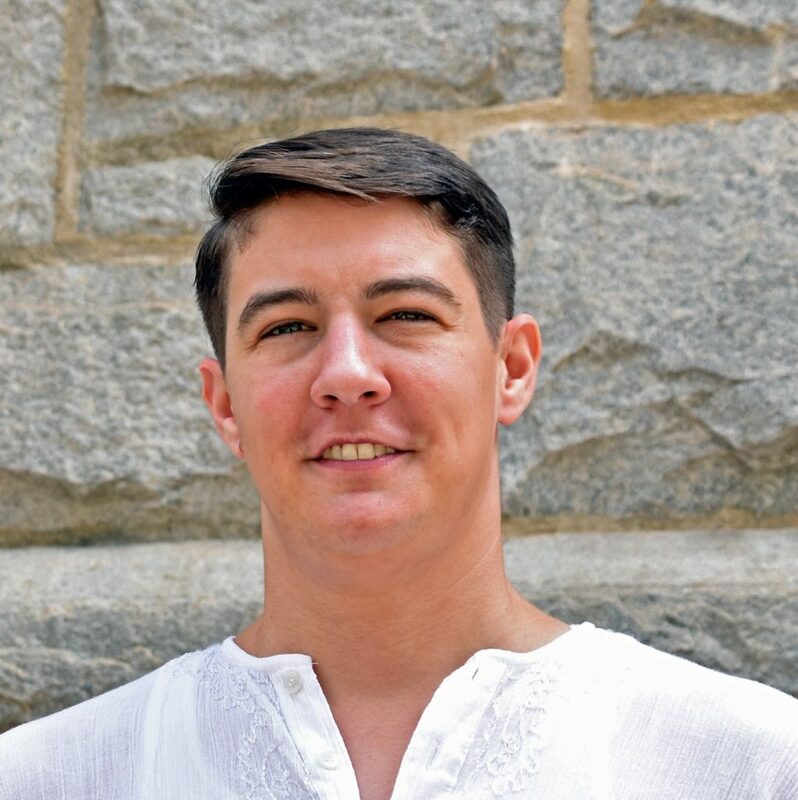 Kim attended Berry College, a small liberal arts institution in Georgia that adheres to conservative religious principles, so coming to terms with being LGBT in that atmosphere wasn’t always easy. But classes helped, as did Kim’s friends. Kim still didn’t have much awareness of gender identity at that point, though they knew being gay didn’t explain all of what they was feeling. That change didn’t come until Kim had entered seminary. Once Kim was on staff at St. Mark United Methodist Church in Atlanta, they made the decision to live openly as a transgender person. It was a wonderful congregation, full of supportive and affirming clergy and lay people, Kim says. The timing felt right. Kim is now an ordained minister in the United Church of Christ and works as an organizer for the Reconciling Ministries Network, an organization dedicated to fostering LGBT inclusion within the Methodist Church. For Kim, advent season—a time of preparation and waiting for the birth of Jesus—is a time not only for Christians to celebrate their faith, but also to re-commit themselves to working against injustice, in all its forms. Kim knows though, that Christmas can be a rough time for LGBT people who may not be able to rely on their family or faith community for that spark of light. For LGBT people in that situation, chosen family are key. And Kim says it’s not just LGBT people who can benefit from relying on their chosen family this holiday season.